TOWAMENCIN >> The seeding in any District 1 tournament can be a fickle beast. Not that the top seeds don’t earn their place, but every now and then a really quality team ends up in the middle of the bracket. The No. 4 and No. 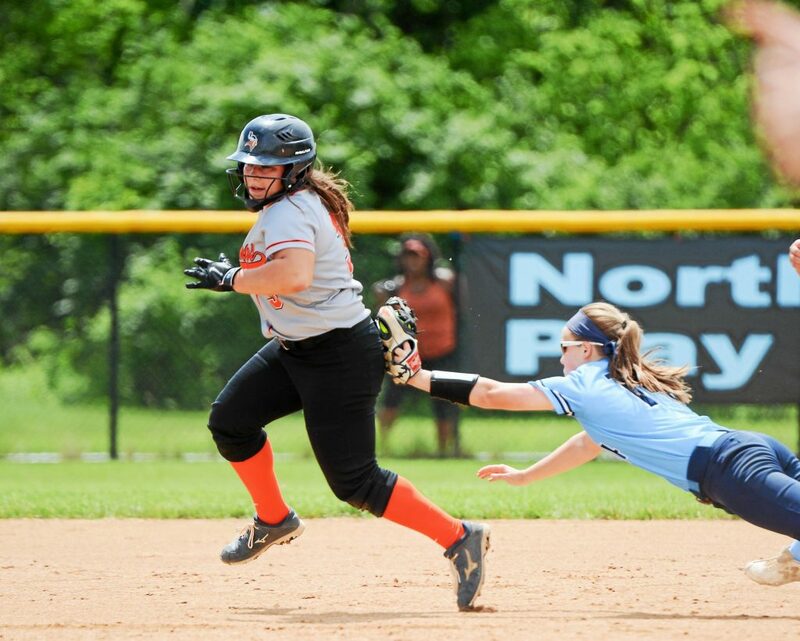 5 seeds in the 6A class played a district-championship quality softball game Saturday morning. Fifth-seeded Perkiomen Valley manufactured a second-inning run and rode pitcher Abby Wild the rest of the way in a 1-0 win over fourth-seeded North Penn. Wild pitched a complete game 1-hitter, striking out 12 in a dominant performance. North Penn’s first hit didn’t come until the seventh inning with one out, when Bri Battavio stroked a clean single to left. Wild took the starting pitching job at the beginning of the District 1 tournament last season and never looked back. 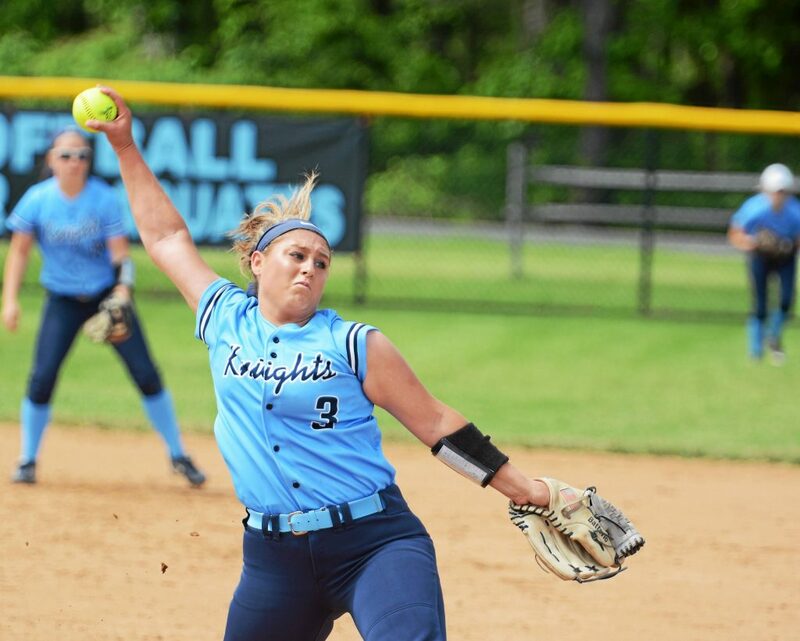 North Penn managed to get just a single runner in scoring position, but the rally was quickly cut out by a pair of Wild strikeouts to the Knights’ three and four-hole hitters. The Perk pitcher struck out multiple hitters in five of the final six innings. North Penn pitcher Bri Battavio was great in her own right, pitching a complete game and allowing just the one run. The senior allowed six hits and struck out three in her effort. The lone run rally started with a leadoff double from Sela Fusco. A Wild groundout moved her to third, and another groundout from Jordan Sell accounted for the game’s only run. 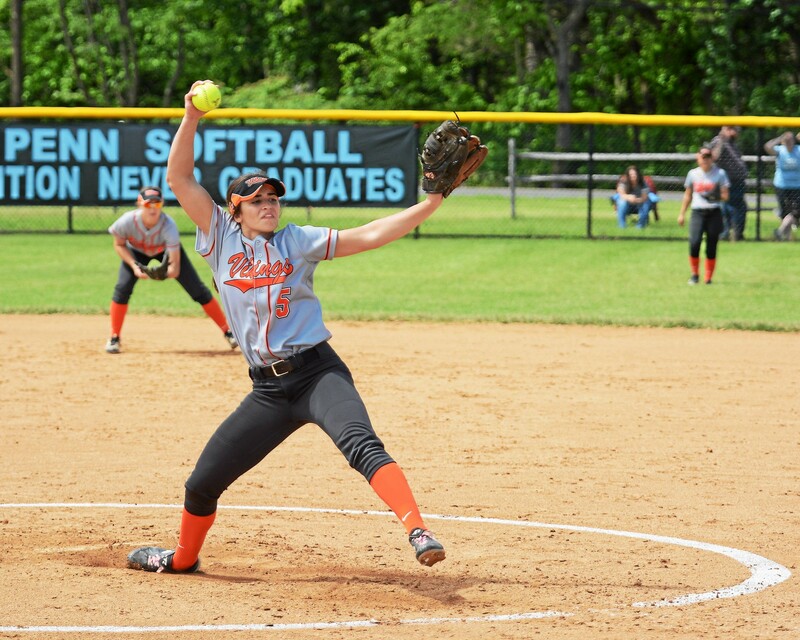 With the win Perk Valley will face top-seeded Spring-Ford in the District semifinals. The victory also qualifies the Vikings for the PIAA state tournament for the third consecutive season. 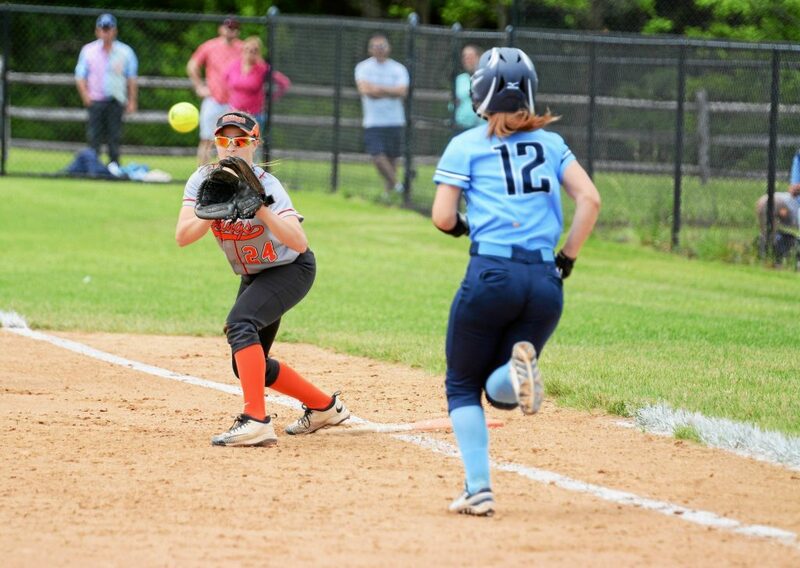 North Penn will get another chance to qualify for the PIAA tournament at home against Quakertown in a playback game. 2B: PV-Fusco, S., Hamm. NP-None. Perkiomen Valley: Fusco, S. 1-3, R; Sell 0-2, RBI, SAC; Banger 2-3; Hamm 1-2. North Penn: Battavio 1-3; Moyer 0-2, HBP.